Chennai Super Kings (CSK) are all set to play Rajasthan Royals (RR) in the match no 25 of VIVO Indian Premier League (IPL), 2019. The match will take place at Rajasthan's home ground Sawai Mansingh Stadium. Ahead of RR vs CSK, Chennai shares their fun-filled safari to the pink city Jaipur. 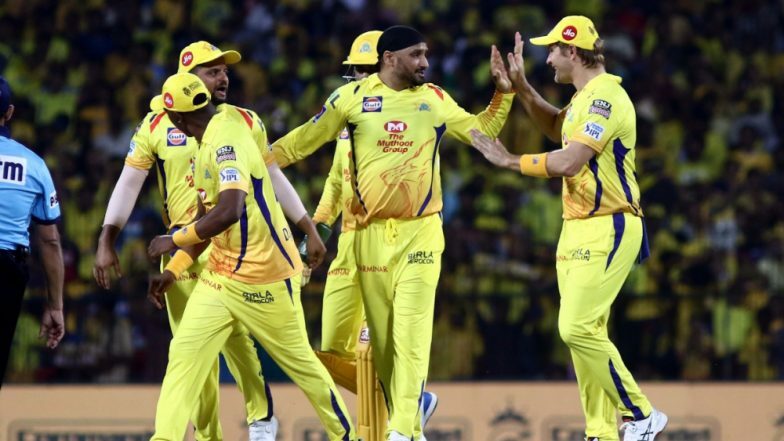 RR vs CSK, IPL 2019 Match 25, Key Players: MS Dhoni to Steve Smith to Harbhajan Singh, These Cricketers Are to Watch Out for at Sawai Mansingh Stadium. CSK is the defending champion and is looking strong in this season of IPL too with only one defeat till now. They won their last game against Kolkata Knight Riders(KKR) comprehensively by 7 wickets. They restricted a strong batting unit like KKR to just 108 runs from 20 overs. Chennai is currently on top of the point table with 10 points. CSK Pacer Deepak Chahar Shares His Bowling Plan Ahead of RR vs CSK Match IPL 2019 (Watch Video). CSK pacer Deepak Chahar bowled well in his last match against KKR with the figure of 3/20. He also created a new world record in IPL of 20 dot balls in a spell. Apart from that CSK is a spin-heavy side with spinners like Harbhajan Singh, Imran Tahir and Ravindra Jadeja who are doing an amazing job for their team. The pitch at Sawai Mansingh Stadium assist spinners, CSK will take that as an advantage. Inspite of CSK all-rounder Dwayne Bravo injury, the team looks equally balanced and will look to win the upcoming match against Rajasthan.